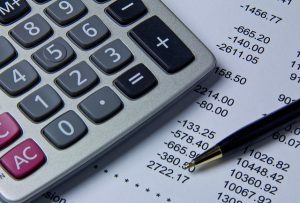 What is accounts receivable financing and how can it help my business? Accounts receivable financing allows you to generate business capital using receivables as collateral. Accounts receivable factoring, or invoice factoring, is an outright purchase of your receivables for cash flow, and usually includes a credit management service. As a form of small business financing, this working capital management tool was pioneered by Riviera Finance in 1969. Small business financing increases debt and ties up assets as collateral. Increase your business capital without debt through invoice factoring. Riviera Finance works with a variety of small businesses in the US and Canada to help them maintain cash flow and meet business financial demands. Invoice factoring, accounts receivable factoring, and freight bill factoring are popular working capital generators for small companies. These forms of accounts receivable financing allow businesses to maximize cash flow and increase business capital by selling their accounts receivable. Ask about our small business financing products today. Generate capital for payroll funding and more with accounts receivable factoring and freight bill factoring from Riviera Finance. Accounts receivable financing is an effective way for small businesses to convert idle invoices to ready cash.